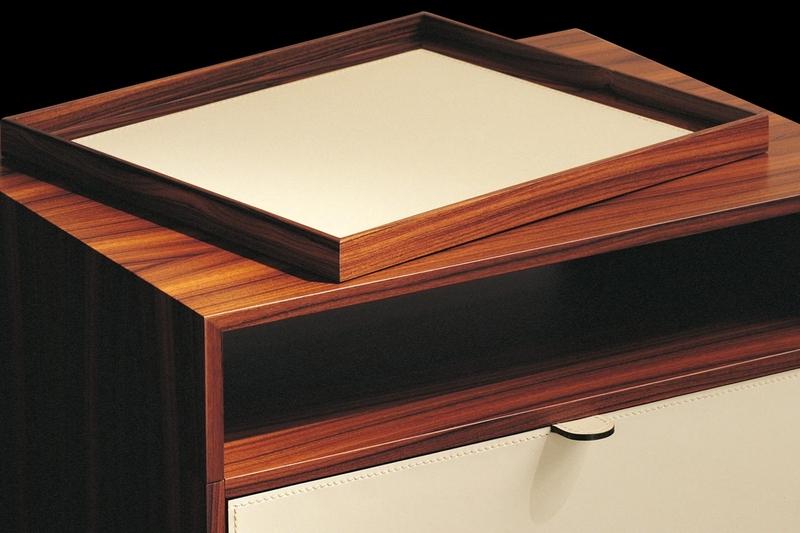 The Mea bedside cabinet is designed to complement the Giorgetti bedroom range, designed with two drawers with structure in polished pau ferro veneer. The fronts and handles of the two drawers are in saddle leather, available in various shades, and move on Silent System runners. The cabinet comes with two removable trays in solid, polished pau ferro with saddle leather bases of various shades. The legs are in solid, polished pau ferro.